Several viruses induce propulsive actin comet tails in order to exit the cell they invaded . They achieve this by recruiting factors for actin nucleation, the Arp2/3 complex, and polymerization regulators from the host cytoplasm. 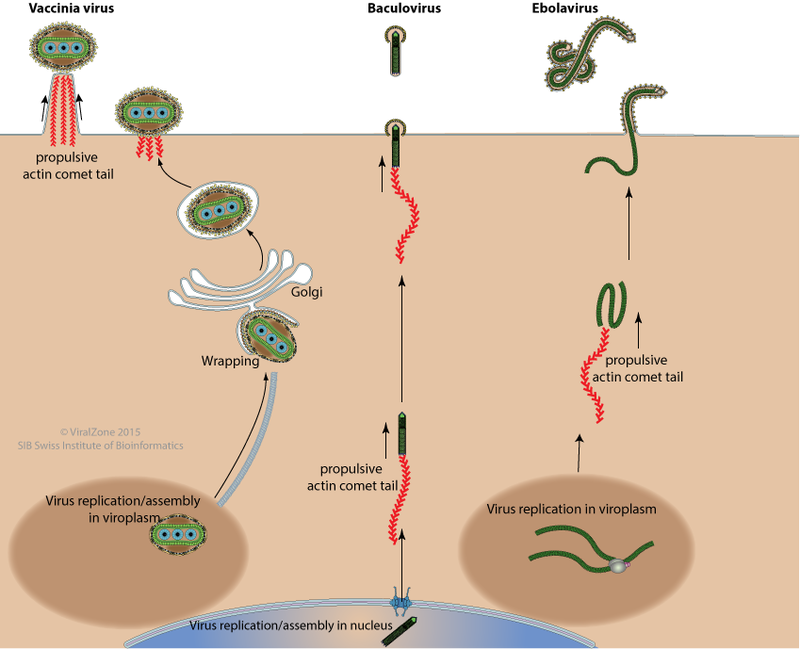 Filoviridae and baculoviridae use actin polymers to move from replication viral factories to cellular membrane. Poxviridae use actin polymerization to help budding out of host cell, and propel the virion particle outward after budding . Actin-dependent transport is induced by viral proteins that interact with actin and/or host cell motor proteins like myosins or that promotes actin polymerization/depolymerization reactions.